Experiencing stress fractures is a common concern among long distance runners due to the very nature of the repetitive movement sport of running. We can see this just by looking at the causes of a fracture. The most common fracture in runners and which accounts for almost 50% of all fractures in athletes are seen on the tibia bone. 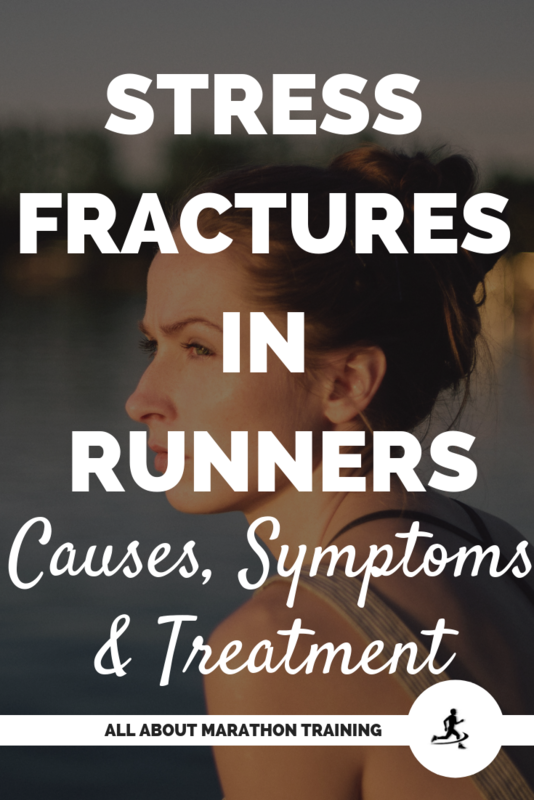 Other common areas that runners sustain fractures are the fibula, femur, and the metatarsals (feet bones). The ability to treat the fracture will be determined by where exactly the fracture is in relation to the bone. Those that occur on the compression side of the bone or easier to treat and heal faster than those on the tension side, which can quickly turn into a complete fracture if not treated properly. Your healthcare provider can confirm the site of your fracture. 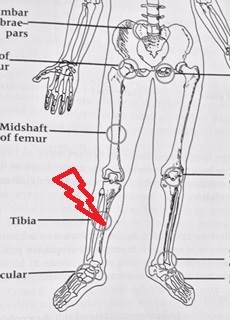 The most common site of stress fractures is on the Tibia bone. 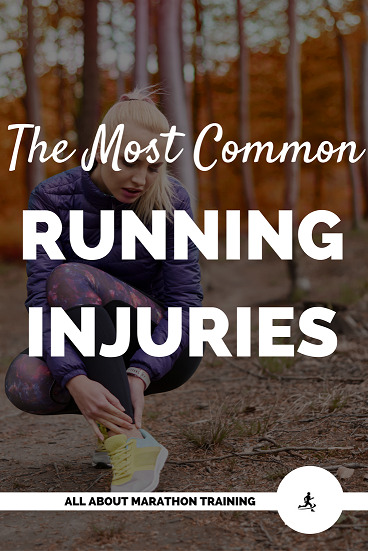 There are many causes and unknown causes of a fracture but one of the most common causes in runners is the fact that we move repeatedly in a rhythmic muscle manner over a long period of time. In short we are contracting and relaxing our lower leg muscles, over and over and over again in the exact same manner for many, many miles, sometimes for hours and hours. A huge amount of force is being placed on our bones and overtime and the buildup of miles the bone can become very "stressed" resulting in a stress fracture. If the bone is placed under repeated stress and not given sufficient time to heal and remodel itself it will fail and begin to show signs of this micro-damage or tiny micro-tears in the bone shaft. 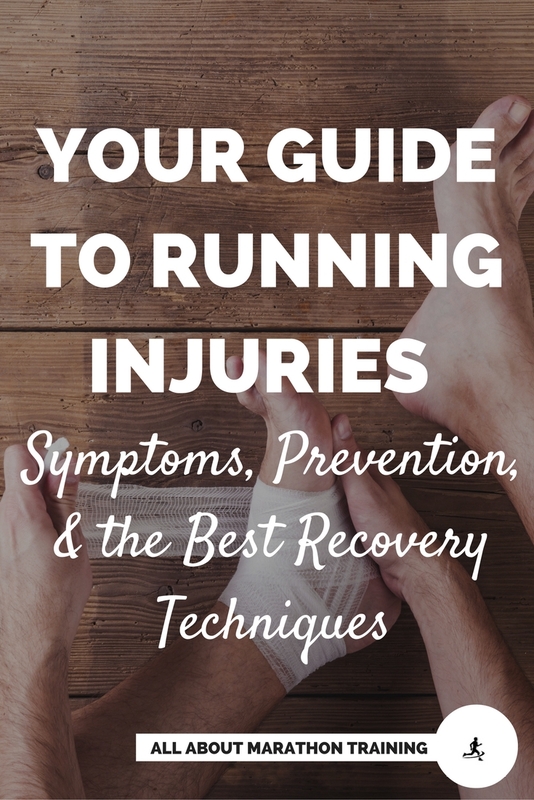 As we can see this is an overuse injury that is prevalent among runners and in particular, marathon runners. 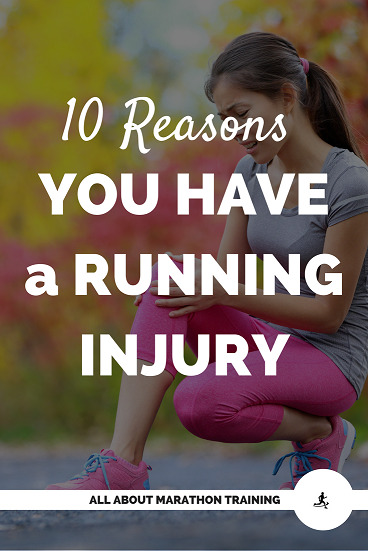 Returning to running too soon after an injury, especially a previous stress fracture. Scheduling too many races in your calendar and not allowing your body to rest in between and to properly train for each event. 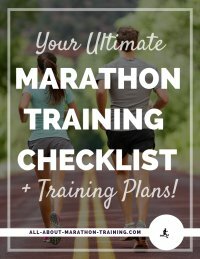 Starting to train too soon for an event that your body might not be ready to handle such as the marathon distance. Mixing up your running routine, e.g. running on a different type of surface, experimenting with a different footstrike, beginnning barefoot running, running hills, poor shoes. One of the best surfaces to actually prevent a stress fracture is on a treadmill. Flatfooted runners are at a higher risk for experiencing a stress fracture. Once again we see that genetics comes into play in the scheme of sport success. In female runners: low bone mineral density, menstrual imbalance and consuming a low fat diet all show increased risk of fracture. Problems like these make it extremely important for females but especially athletic females to take a calcium supplement. Running high mileage weeks. Anything over 40+ miles a week will dramatically increase your risk of developing a fracture. Pain - first the pain is present only when active but progressively becomes painful even at rest. The pain can also become more unbearable at night. The difficulty in treating a stressed fracture lies in the fact that they can take weeks to be detected and diagnosed. X-rays can fail to show signs of a fracture early on. A bone scan is more likely to pick up on the signals earlier however. A typical rest period of 4-8 weeks in a low-risk fracture is needed and cannot be taken lightly. Continuing to run on a fracture, no matter how small, will result in a more severe fracture that may only be fixed by operative measures. When returning to running, mix it up to implement more cross training days so that your legs are experiencing different movements and muscular use. This will help to increase the strength of the entire leg without immediately placing lots of repetitive stress on the leg from running which caused the fracture in the first place. Shock wave therapy, deep water running, and antigravity treadmill training may be employed in the rehabilitative process. If your fracture does not heal and results in sclerosis, cysts and other abnormalities, it can call for surgical remedy. This is why it is very important to rest when you are diagnosed with or even suspect that you may have a fracture. Stress fractures are not the end-all-be-all but if you do find yourself with one remember: take a break from running, see your healthcare provider, and treat that area like you would a baby! Gallo, Robert A., Michael Plakke, and Matthew L. Silvis. “Common Leg Injuries of Long-Distance Runners: Anatomical and Biomechanical Approach.” Sports Health 4.6 (2012): 485–495. PMC. Web. 10 Mar. 2015.